New for 2019. 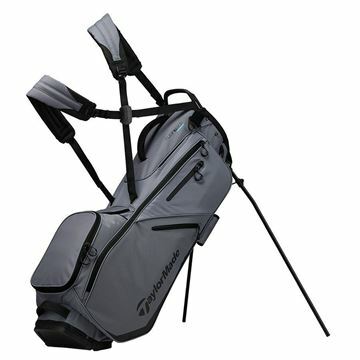 TaylorMade FlexTech stand bag in Grey/Black. 5 way top and weighing only 4.5 lbs. Full length club dividers and an impressive 11 pockets. New for 2019. TaylorMade FlexTech stand bag in Navy/Red/White. 5 way top and weighing only 4.5 lbs. Full length club dividers and an impressive 11 pockets. New for 2019. TaylorMade FlexTech stand bag in Red/Black. 5 way top and weighing only 4.5 lbs. Full length club dividers and an impressive 11 pockets.